A withering critique of the French retailer’s book-keeping by a short-seller sent shares down by almost a fifth. Casino is riled. Muddy Waters’ approach raises ethical questions. But one way to see this conflict is as a beneficial kind of pessimism-tinged activism. 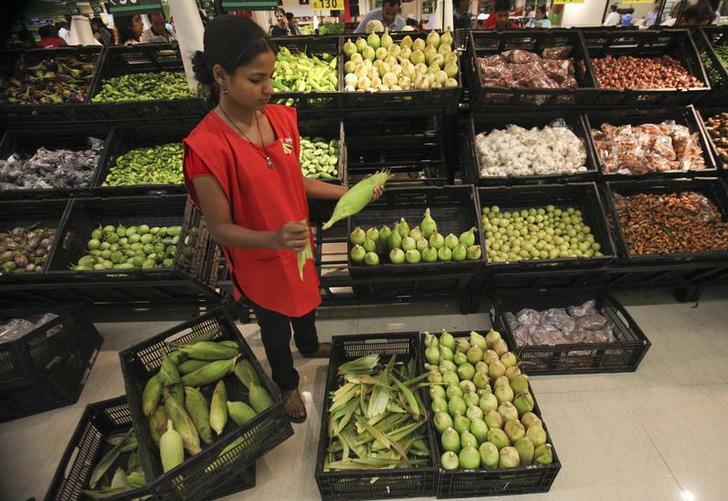 An employee arranges vegetables in the fresh foods section. Muddy Waters, the short-selling investment house headed by Carson Block, said that Groupe Casino, the French retailer, “is one of the most overvalued and misunderstood companies we have ever come across”. Muddy Waters added in a report dated Dec. 16 that it has a short position in shares and bonds of the company. That implies it stands to gain from a reduction in the value of the securities. Previous targets of Muddy Waters reports include Chinese timber group Sino-Forest and Swedish telecom TeliaSonera. The report said that Casino’s financial statements are “literally meaningless”. On Dec. 17, the day the report was published, Casino said it “contains grossly erroneous allegations that the Group will answer in detail”. Casino stock was trading at 50.65 euros on the morning of Dec. 17, before falling sharply. At 0900 GMT on Dec. 18, the shares were at 41.60 euros, down a total of 17.9 percent and giving the company a market capitalisation of 4.7 billion euros.